Tread the Thunder Bike Club (TTT) hosted “Take a Kid Mountain Biking Day*” at Thunder Hill on October 1,2016. 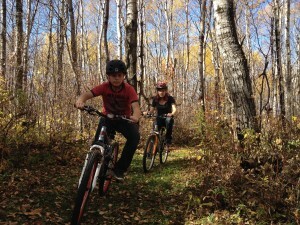 It was a great way to spend a fall day, get some exercise and enjoy the gorgeous colors from the top of the Valley. 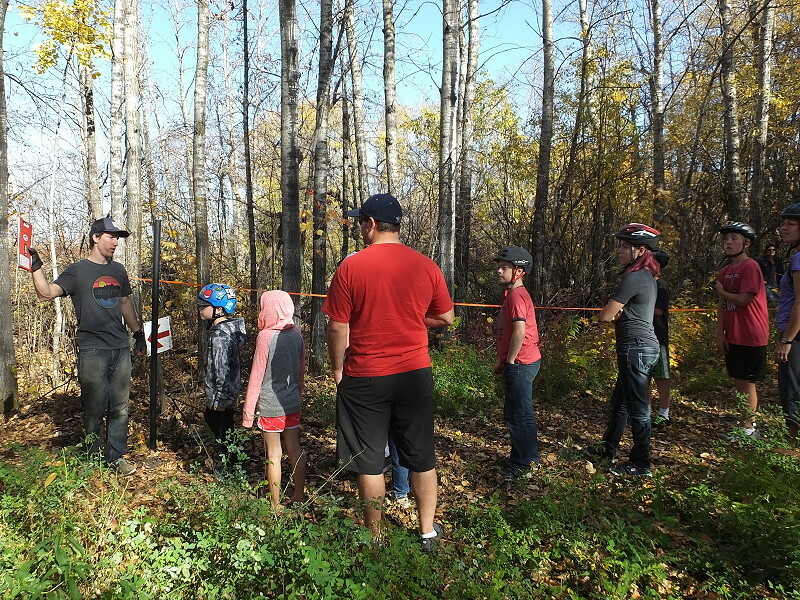 The day started with registration and a short orientation which included the “Rules of the Trail” and an introduction to some of the various trails. 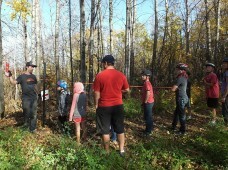 A total of 20 kids biked through the obstacle course before heading out to explore the bike trails. 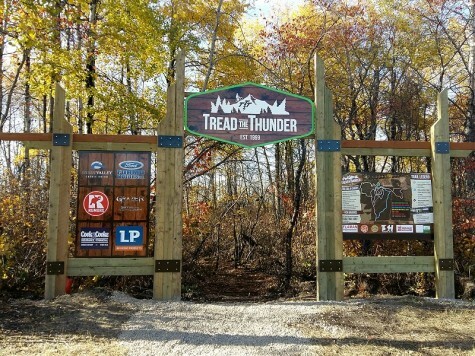 The Tread the Thunder Bike Club got a reset this year by a group of dedicated individuals along with the support of local businesses, organizations and volunteers. Established in 1999 the club had been relatively inactive over the last number of years but has found a new calling under the direction of Kevin Ashcroft, Kyle Machan, Randy Schenk and Rob Ter Horst. 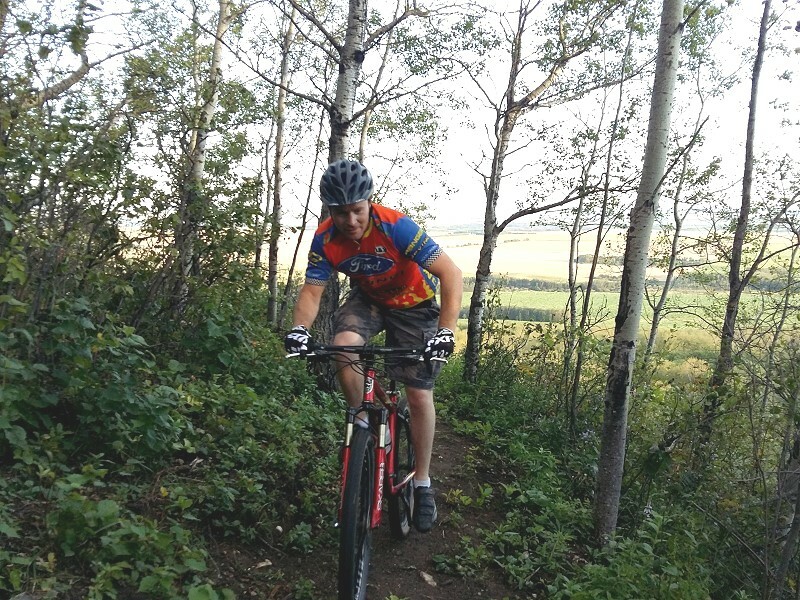 Originally focused on competitive racing, the club now welcomes a variety of recreational uses on the trail system that currently consists of 5 trails. Click here for a map of trails. 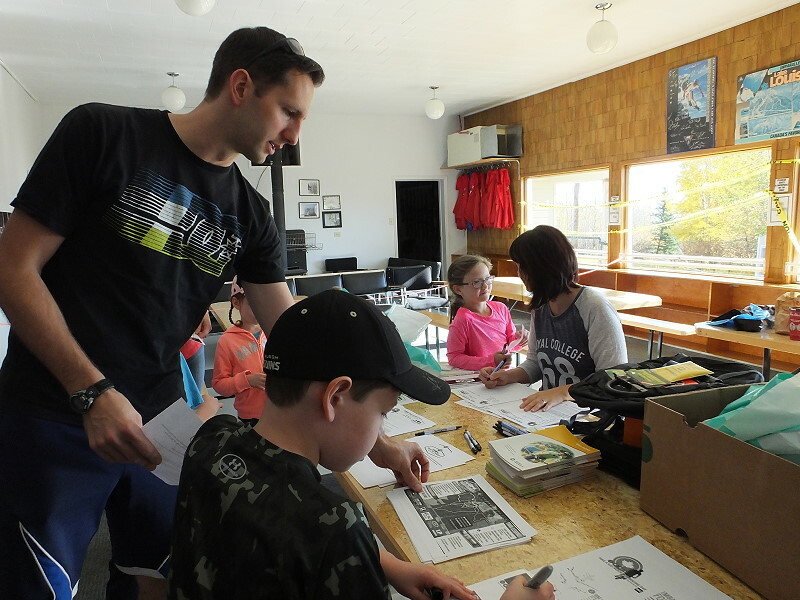 The club has stated it’s goal is “To foster a healthy, active interest in year-round recreational and tourist activities at Thunderhill for children, youth, and adults of the Swan Valley Community.” Click here to read more about the club’s plans and sponsorship opportunities. Club membership starts at only $10 per individual or $25 per family. 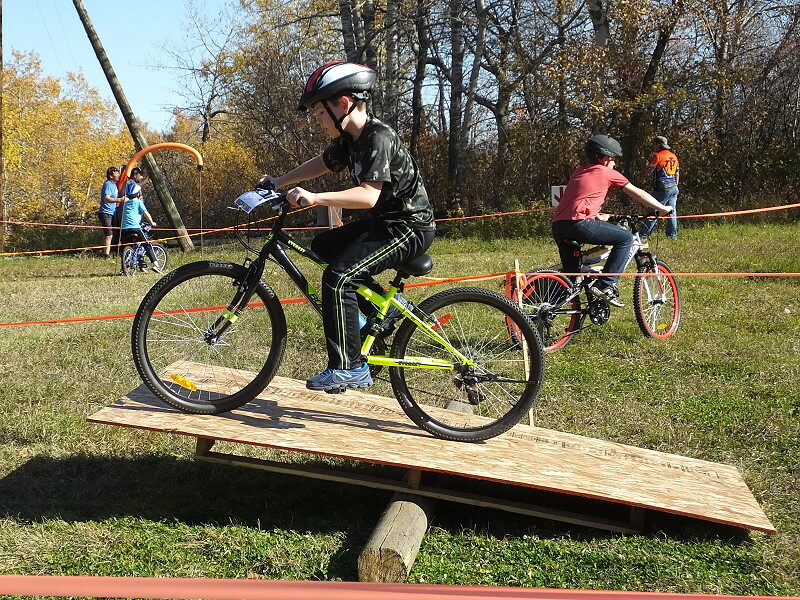 *Established in 2004, Take A Kid Mountain Biking Day challenges adults and biking clubs to introduce kids to the sport of cycling. 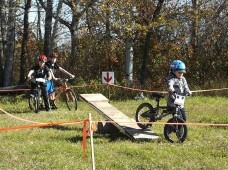 The event celebrates the life of Jack Doub, an avid teenage mountain biker from North Carolina who passed away in 2002. 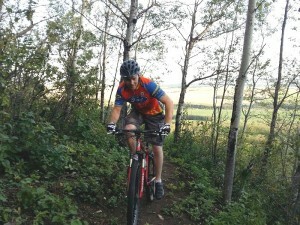 Developed and coordinated by the International Mountain Bicycling Association (IMBA), the event officially takes place on the first Saturday of every October. Last year, Canadian events – which boasted group rides, skills clinics, and BBQs– attracted more than 3,500 participants. Internationally, events were held in Australia, Italy, Germany, Japan, Mexico, the United Kingdom and the United States. 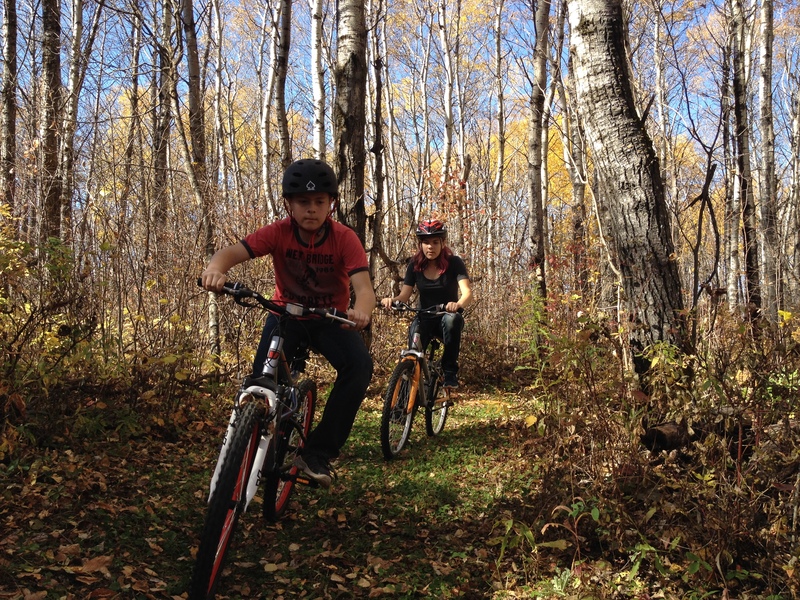 Saturday October 1, 2016 marked the 13th annual celebration of Take A Kid Mountain Biking Day, an event which has put more than 53,000 kids and adults on bicycles worldwide.